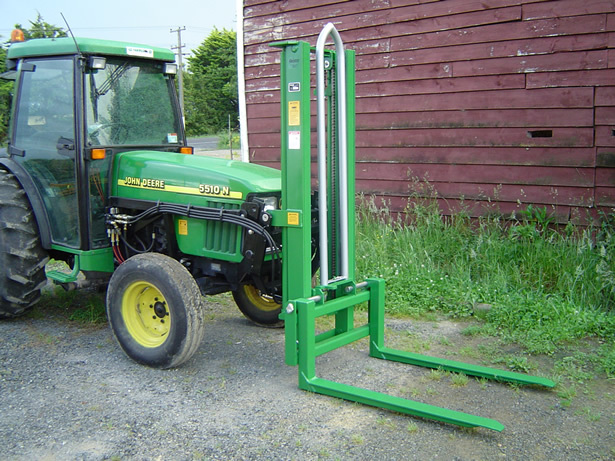 Quinn Machinery have a range of accessories to suit your needs. If you can’t see it on our site, give us a call and we’ll see what we can do – we can do most things! 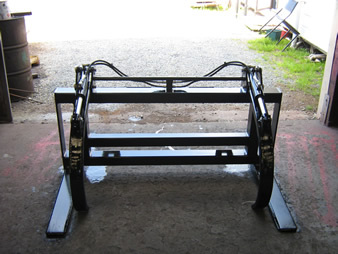 Designed as a safety feature that can be fitted to all Quinn Forklifts. This will protect the operator for falling bins and is quickly removed from the forklift in seconds. It is designed to be used with empty bins only. The height can be modified to suit the end users requirements. 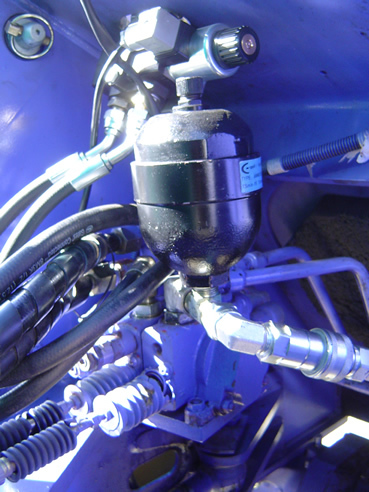 This unit can be fitted to the hydraulic lines of the forklift which removes shock loading on the bin of produce. 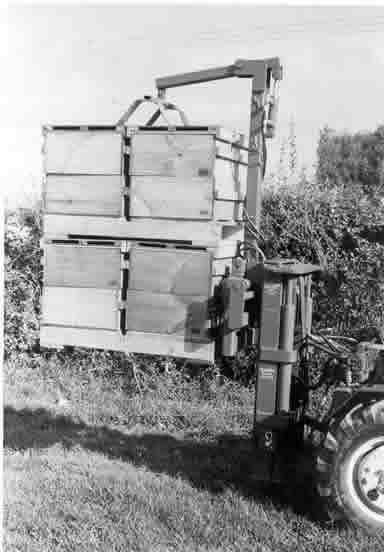 This helps to prevent damage to the produce when transporting the load. 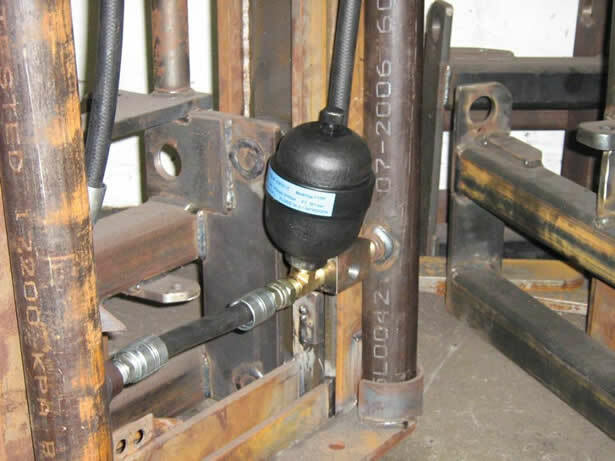 The hydraulically operated top clamp can be fitted to the range of forklifts which allows the load to have top pressure put on it to stabilise the load when being carried in unstable terrain. 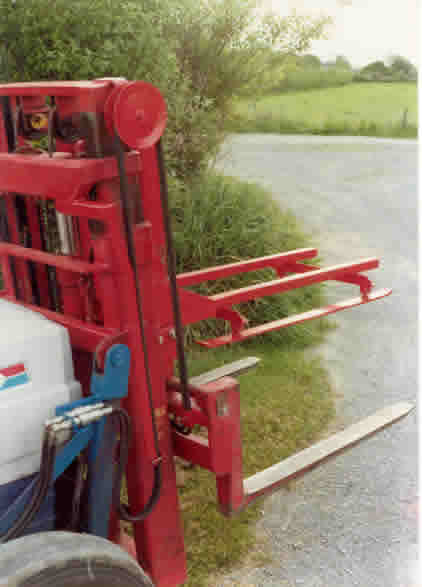 Spring tensioners prevent damage to the bin or beehive. 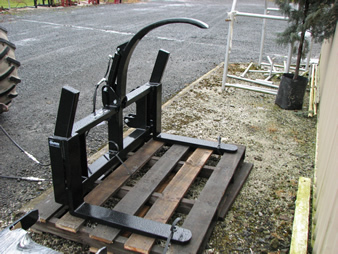 Available as a single or double unit, the log clamp is used to secure a load of posts, timber, logs or other material being carried on the forks. This can be easily removed if not required to be fitted permanently to the forklift.